The Model 1913 (mle 13) 105mm Schneider quick firing gun was introduced into French Army service in September 1914 during the battle of the Marne. 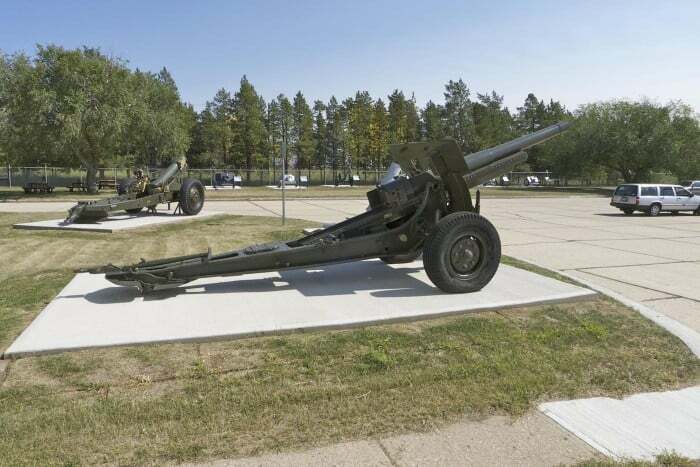 Its larger projectile was seen as superior to the 75mm gun, but the design was felt to be less robust. Fewer than 600 were in use by 1918 (generally two 4 gun batteries per division). After the First World War the gun remained in service with France, Italy, Poland and Belgium. Modernized versions were used throughout World War 2. Germany captured numerous examples and many were emplaced in the defences of the Atlantic Wall facing the Allies in Normandy on D Day. Detachment: Gun and limber, ammunition wagon, 13 horses and 8 drivers, towing vehicle and 7 Gunners.